Are you a newcomer to Canada? Confused by whether you need to file a tax return? Here are 5 great reasons to file your tax return in Canada as soon as possible. One of the lesser known facts about filing a tax return, is that it also doubles up as an application for the GST/HST tax credit. Essentially, this is a free tax credit for low to middle income earning individuals or households, with the majority of newcomers to Canada qualifying for this tax credit payment. This is paid on a quarterly basis, with the earlier you are able to file your tax return, the sooner you will start receiving these payments. If your household (or as a single individual) you earn $44,000 per year or under, you are almost definitely eligible to receive this tax credit, with the average quarterly payment being $105 every three months. Certainly a good reason to file your Canadian tax return, even if you aren’t due a large return, or are required to pay a small amount of tax. Along with the GST/HST tax credit application, certain individuals may be entitled to the Working Income Tax Benefit, which can greatly increase your entitled refund amount. A tax professional will know whether you are able to claim this benefit or not, with their being a number of criteria that must be met. The main reason that many people file their tax returns in Vancouver, Burnaby, Calgary and all across Canada, is due to the potential refund. Being a newcomer to Canada (including those on Canadian IEC visas – International Experience Canada) you are highly likely to receive a refund in your first year. If you aren’t sure, we can provide a free and no obligation quote. Simply send us your T4 (summary of earnings), along with the dates you entered Canada and we’ll have a quote to you shortly. It is not uncommon for newcomers to Canada to be eligible for a return that could be several hundred dollars, or even reaching one or two thousand, depending on how much was earned and the tax already paid. With the streamlining of PR applications, an increasing amount of people are being caught out with not having their taxes up to date and filed. This can lead to a delay in applying for your permanent residency, with proof of tax filing often required before you can submit your full application. While we can process tax returns within 24 hours of receiving all information, CRA (Canada Revenue Agency) can take several weeks to process the return on their end and issue your notice of assessment, potentially delaying your application by a considerable amount of time. Even though you are a newcomer to Canada, you might be in the hunt for a property of your own. If so, having your taxes up to date and current is essential for gaining a mortgage. Similar to the delay in PR applications mentioned above, your mortgage application might be on hold until you are able to provide a notice of assessment for the prior years. Along with these great reasons to file your Canadian tax return, you are legally obligated to file if you have to pay tax in that tax year. 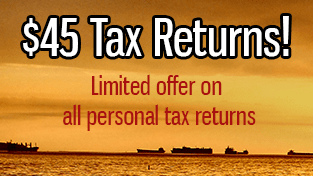 Additionally, you must also file a return if you want to submit for a tax refund or rebate. You can get a free and no obligation quote by simply providing your T4 (summary of earnings) and sending it to us with your date of entry and exit to Canada (if applicable), so what have you got to lose?